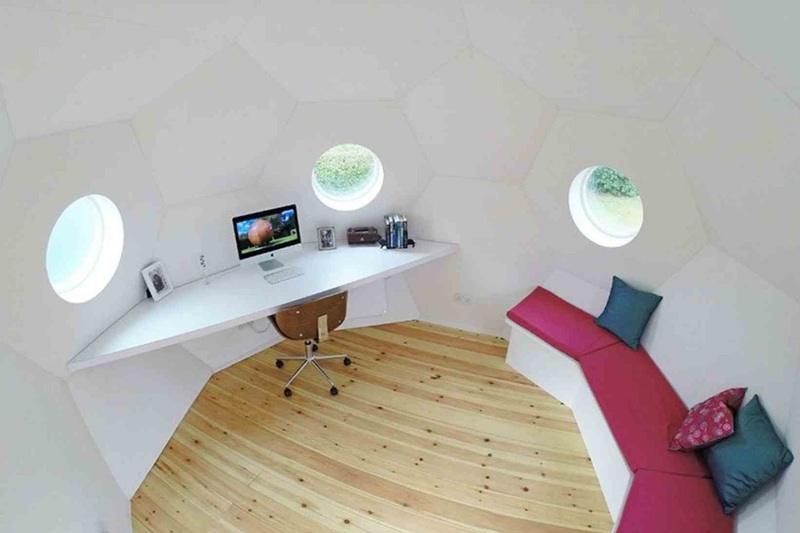 "My engineering perspective was further enhanced through a desire to give my children ‘hands on’ practical experience, culminating in building wooden sea kayaks and a spherical tree house. 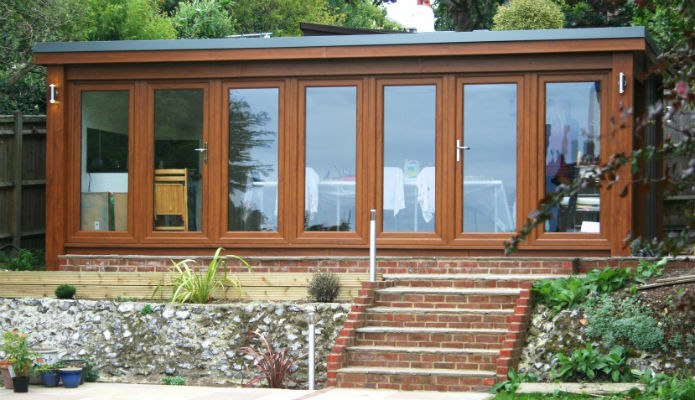 The Conker™ was born in 2015 through the knowledge that a garden building should be aerodynamic, strong and versatile. 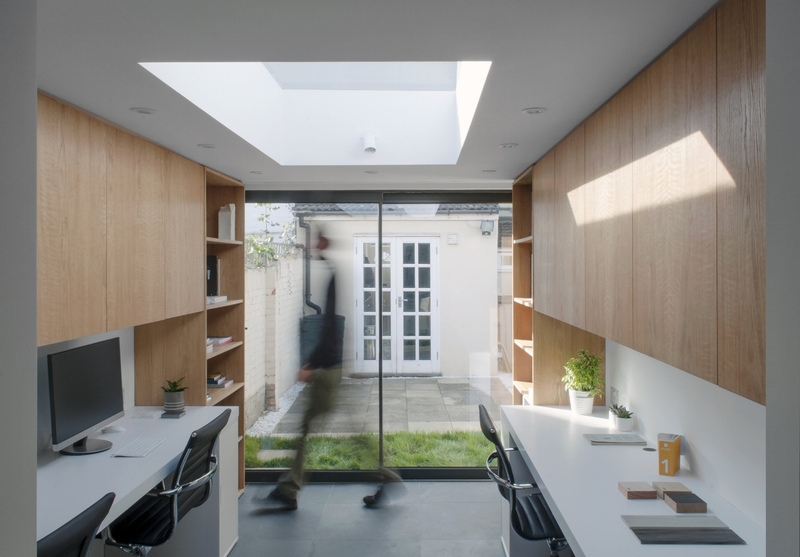 I envisaged a contemporary, state of the art, desirable environment which could be adapted and personalised. 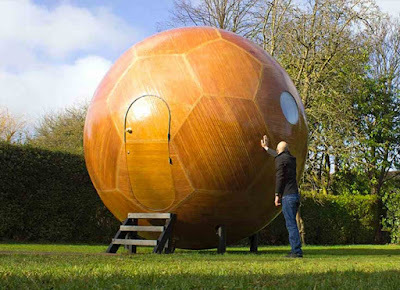 A sphere was an obvious choice and a full-size prototype was built, realising my aspirations." 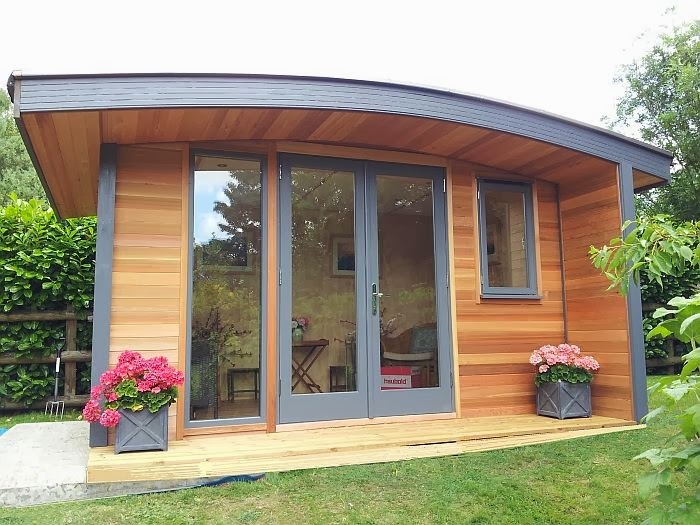 It's not yet on the market, although you can get an early glimpse of it at The Glamping Show in Warwickshire which runs September 20-22. Jessie Burton, bestselling author of The Miniaturist and The Muse as well as a shedworker (see previously on Shedworking) will have her writing shed recreated by Heals in the window of their Tottenham Court Road shop in London as part of their campaign 'Spaces: A celebration of pioneering creative women' during London Design Festival (September 11 -23). 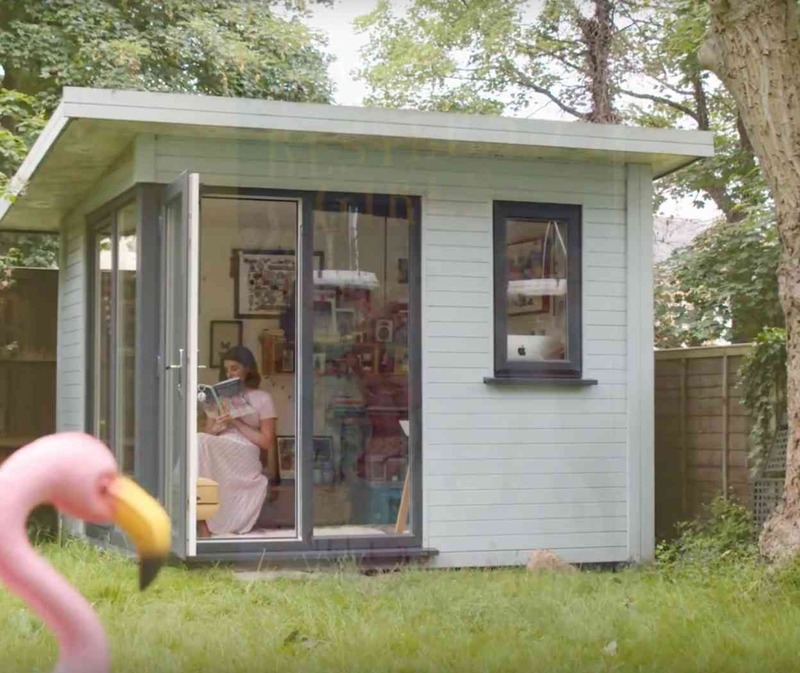 More about Jessie's new book The Restless Girls on her website here which she talks about in the video below while also giving us a glimpse of her writing shed. 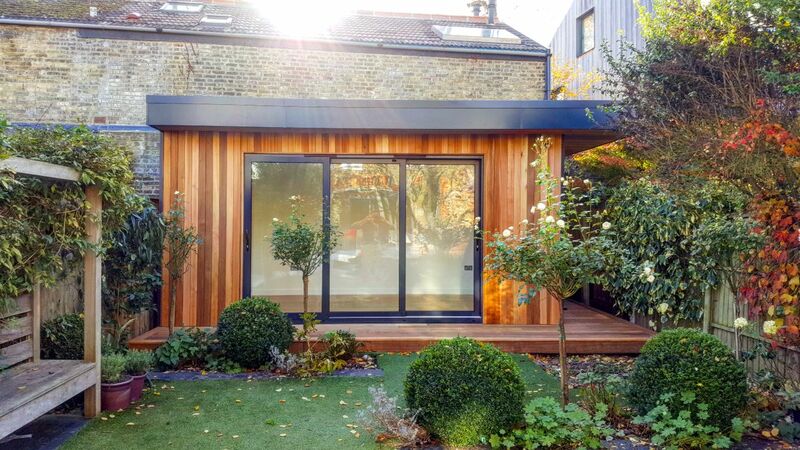 "This garden studio project is aimed to maximise the limited amount of space within the rear garden of a 19th century terraced house. 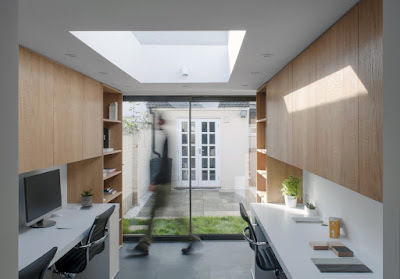 The presence of a large sliding door and skylight provides ample natural light which highlights the texture of the various internal materials, in particular oak veneer and slate flooring." The exterior Siberian larch slats are designed to complement the neighbouring timber fences and inside there's plenty of bookshelf and cabinet storage. 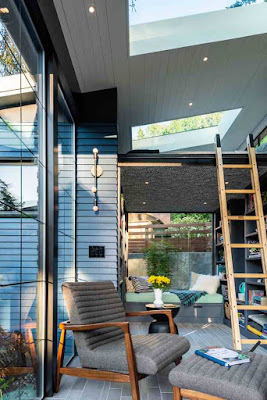 A lovely build by Seattle-based Board & Vellum in what was an overgrown back garden and is now what they describe as an "indoor-outdoor oasis". 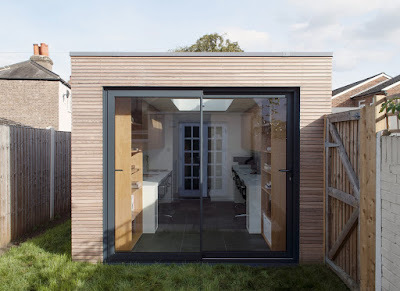 The inspiration was the concept of a "found shed" with lots of grass and carefully-considered placement of windows and doors as well as a timber deck. 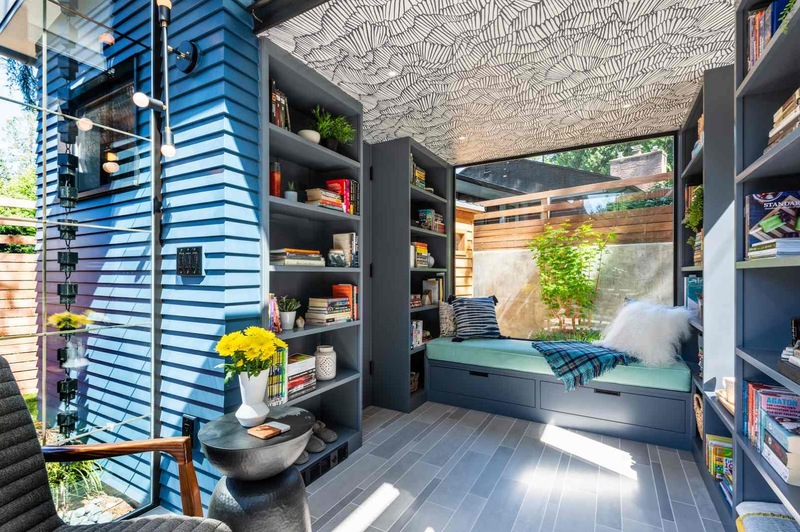 An interesting feature is the wallpapered ceiling which hides music speakers hidding underneath. The retreat functions as a reading room but also as an entertainment area or guest accommodation, including a shower and firepit. 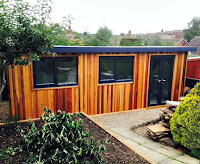 Here's a large garden office used as a classroom for teaching children from 6 up to A level from Booths Garden Studios. 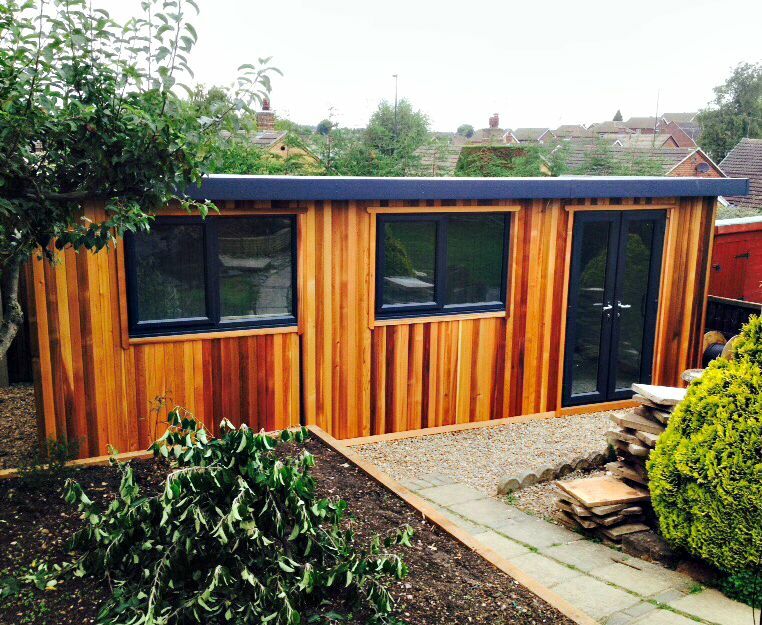 Internally it's 21' x 12' with room room for up to 10 pupils. 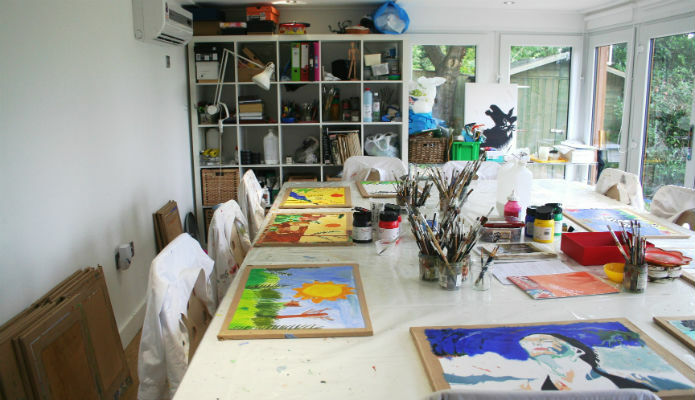 Features include a sink with hot and cold water supply, lots of storage for painting accessories and art works, plus a compact toilet, and an air conditioning unit at the back of the garden room. According to the client: "Until I got my garden studio I was working in the dining room of my house and the rest of the family were thoroughly fed up with me constantly coming home to the sink being filled up with paint palettes and brushes so I decided I needed to move out of the house to a purpose built garden room." Readers will remember when we reported on David Cameron's purchase of a shepherd's hut to use as a writing studio to write his memoirs. 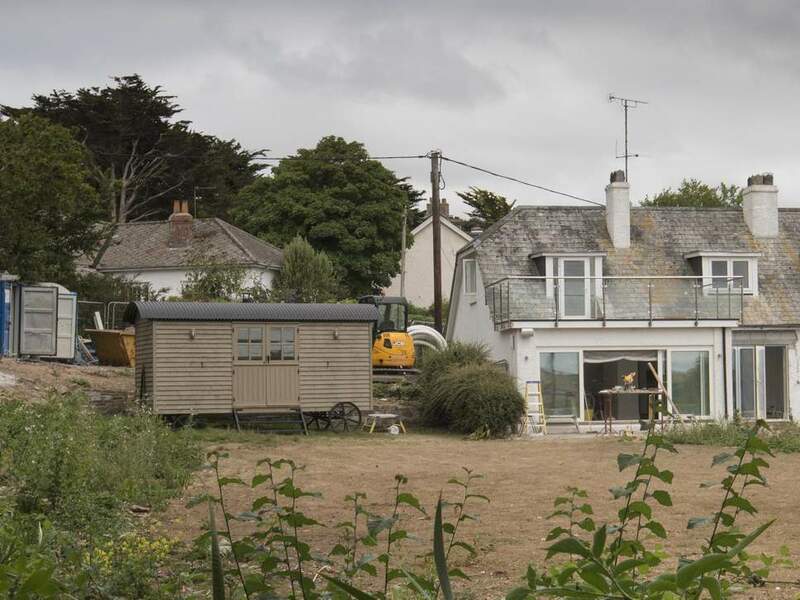 Well, now he's bought another one (pictured above), again from Red Sky Shepherd’s Huts as part of the renovations on his swanky holiday home in Cornwall. It's the same as the first with green cladding and black plastisol-coated metal roof. Right at the start of this year we featured the marvellous Shed and Breakfast in Bristol so we're delighted that they've made it to the last 24 of the Cuprinol-sponsored Shed of the Year 2018 competition. 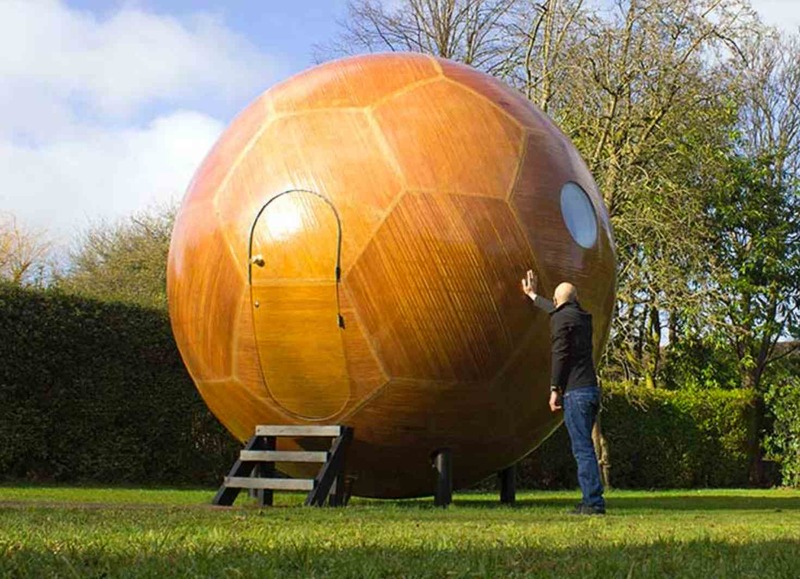 Just to recap, Daisy and Jon run Shed and Breakfast from their Warwick Buildings base in Bristol. One night a month they offer shelter to a homeless young person and also collect for Nightstop, a homeless charity in Bristol, through guest donations. 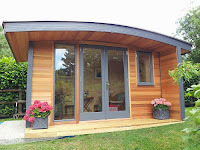 They're actually in the Eco category as the shed uses solar panels and solar thermal. 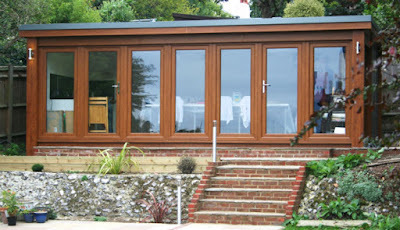 They're one of Shedworkings Top Tips to win the overall competition. Voting closes on August 28. If you'd like to vote for Shed and Breakfast, simply go to http://www.readersheds.co.uk and the eco category to make your mark. 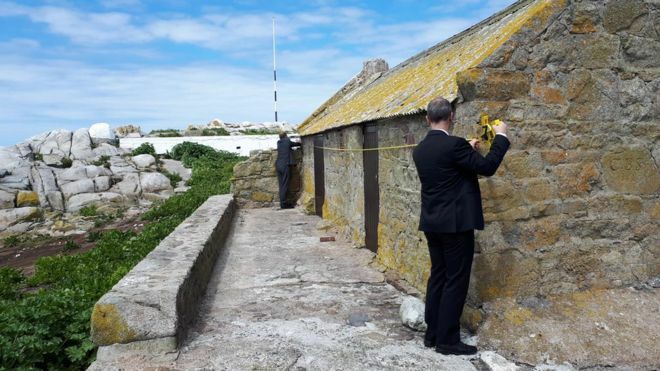 The BBC is reporting that one of the 20 granite huts on Les Minquiers (about 10 miles south of Jersey) has been bought by a Jersey company in an undisclosed six figure deal handled by Jersey law firm Viberts. 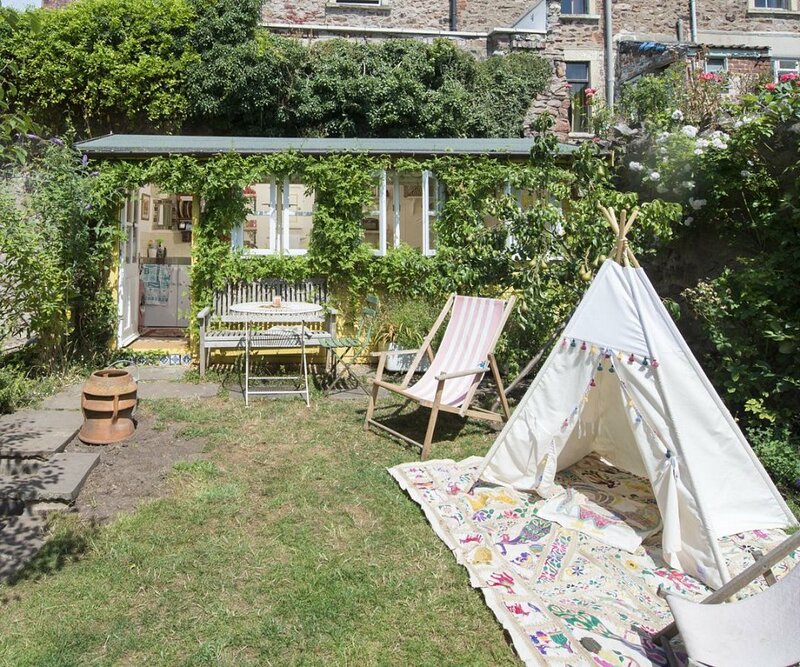 Described as the size of a garden chalet and usually handed down within families, they only come up for sale at an average of about once a decade - some have not appeared on the market at all since they were first constructed in the 19th century. The survival of Anderson shelters is not only due to their sturdy structure. Millions of families took refuge in them during the war and told their stories to succeeding generations, preserving them in our cultural imagination, too. “I think the Anderson shelter is an icon because so many people had them,” Liz Johnson says. 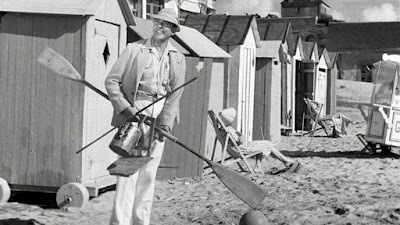 “They figure in many wartime novels and films. I think they do appeal to our den-building fascination.” The shelters are also one of the few relics of the period that can still be utilised. 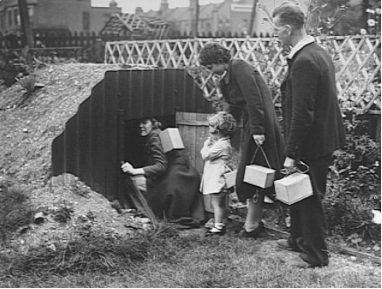 They are an effective and fun way of educating young children about the realities of the home front, and many people are still putting them to good use in their gardens. Johnson says she intends to keep her shelter for as long as she owns her house and has plans to develop the inside as a sleep-out space for her children. The Shedworking staff have awarded themselves a holiday and scarpared off to the seaside for a paddle, a nice sit down in a beach hut, and an ice cream. Normal service will be resumed shortly. "I have a shed. I came home to write from Glasgow where I’d been working for five years as a copywriter. I promised myself I’d come home when I was twenty-eight and give myself two years to write a book. I lived in a shed in my Mum’s garden, which I still work in. I also built a writing room into our house. They are sacrosanct places. No one else goes in them. There’s nothing particular I have to have (other than pens, blank paper and a window) but I am incredibly protective of my writing space." "When I am in need of inspiration for my writing, I step out of mother's shed and walk 50 metres to the edge of a cliff where I can be immersed in this extraordinary Cardigan Bay landscape," says Jones." There's an excellent podcast of him recorded last month talking about "'the square mile' in Welsh culture, the experience of re-telling stories, and the spark that sends him to the writing shed to get a pending novel down on the page" at the Royal Literary Fund site here. 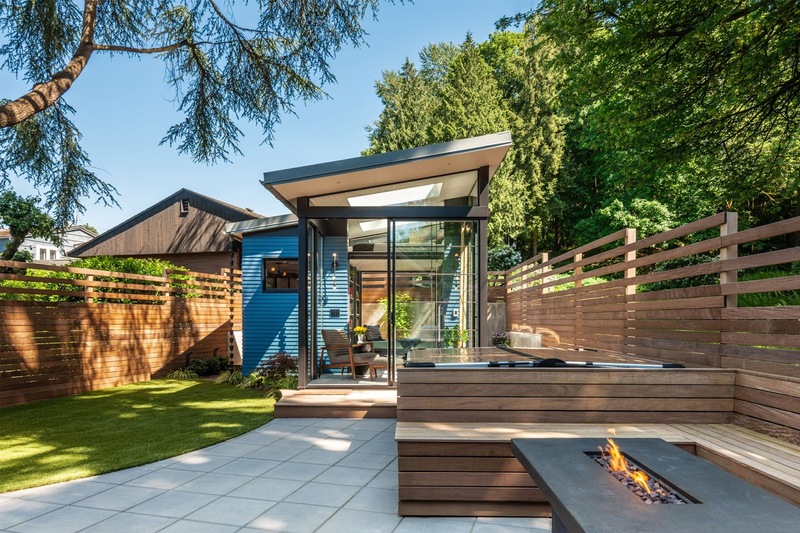 The excellent Wood Awards which aims 'to recognise, encourage and promote outstanding design, craftsmanship and installation using wood' has announced its 2018 shortlist. 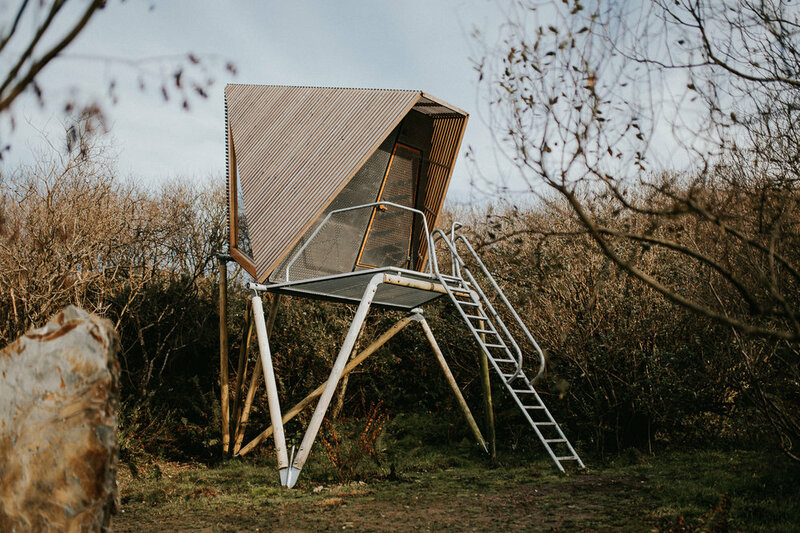 Among them is the marvellous wilderness cabin Kudvha, designed by New British Design. Kudhva means ‘hideout’ in Cornish and these cabins in Tintagel, Cornwall, are the start of a larger project looking at micro architecture. Ideal as an off-grid shedworkingesque office, they each sleep two, are 7m tall, and are made from pine, larch, rubber, steel and glass. The Kudhva are a physical manifestation of the client’s approach to natural living. 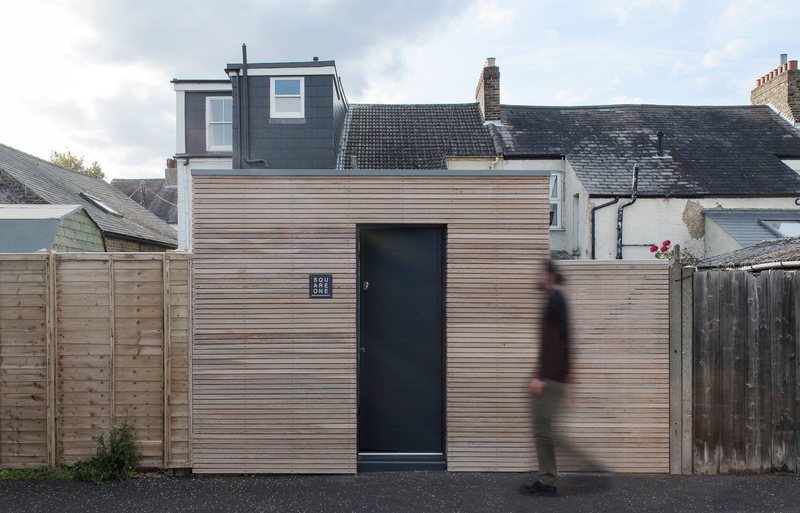 The cabins are made predominately from wood, chosen to act as a lightweight counter to the site’s industrial past. The natural habitat is ecologically rich, therefore the cabins have been designed to touch lightly on the land. 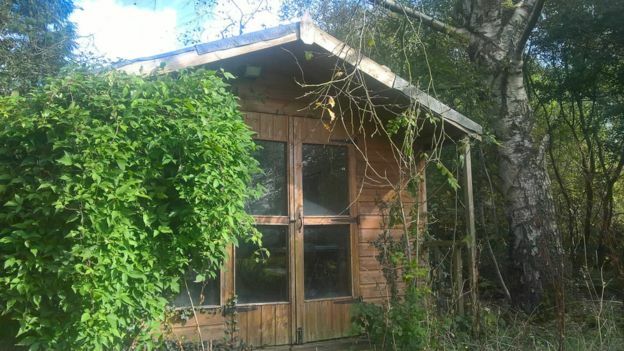 The cabins have been designed to be totally off-grid and are temporary structures that can be moved around the site or removed in years to come. Best of all you can stay in one and here's an account of what it's like.